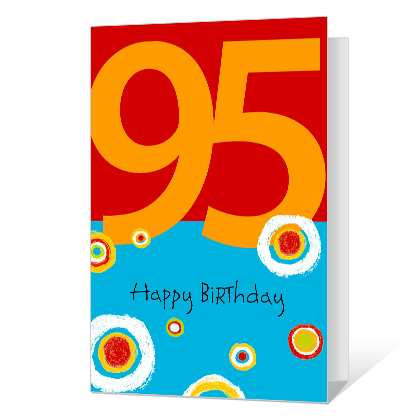 Inside Verse: Ninety-five years look terrific on you! You don't seem a day past "amazing," it's true. You light up a room with your wonderful smile, You've made "young at heart" your own wonderful style. So no holding back, let the big day arrive. And wish on each candle- yes, all ninety five!